A bast shoe race will be held in the Ostrov district of the Kostroma Region on Aug. 23, declared the Day of the Bast Shoe in Russia. Anybody can participate in the celebration. In addition to the race there will also be a tug of war in which participants will take part wearing bast shoes. It will also be possible to try Russian cuisine cooked according to ancient recipes. 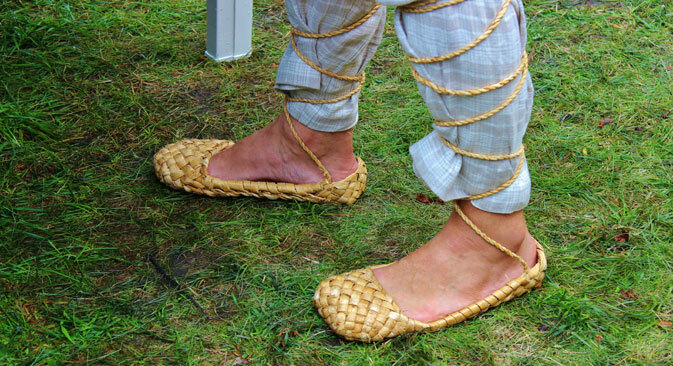 Organizers promise to run master classes in weaving bast shoes. According to local historians, craftsmen here were famous already 1,000 years ago for their bast shoes. Every year fairs are held in the settlement, during which bast shoes are sold by the cartload. Local craftspeople who have kept the secrets of their ancestors’ trade have opened the Bast Shoe Museum, where visitors can see several dozen pairs of woven footwear, as well as examples of raw materials and instruments for making the footwear. Full version of the article first published in Russian in Rossiyskaya Gazeta.